Gorgeous look, Isn't it? And, the hat, of course. Rouge Bunny Rouge generously sent the essential products for me to create the look. I will share some swatches and thoughts below as I explain how I used them for the look. Tinted Moisturizer (Sketches On Water) in Adansonia - This is a lovely formula that feels amazing on the skin. For a tinted moisturizer, I think it gives a decent coverage as well. Adansonia is a light neutral shade that is a great match for me. Skin Perfector (Serene Light) - It is probably the best primer I've tried in a while. I love the slightly thick consistency that still glides on skin. This one evens out and covers that you can easily skip foundation on a low key day. Natural Defining & Contouring Liquid (Shadow Play) in Dusk - I don't use contouring products on a daily basis but I think this one is easy to blend and looks natural on. It comes with a sponge tip applicator that is really handy. Dusk is a pretty rosewood shade that I wish was a bit grayer. Colour-Matching Concentrate (Aubades and Serenades) - can be mixed with any liquid base makeup to adjust the shade. I mixed a tiny drop of this with the tinted moisturizer to create a slightly warmed-up complexion. The bottle is gorgeous but the pump dispenses a bit too much at times. The texture is velvety that I might use this on my eyelids to base for more dimensional looks. Light Corrective Eye Primer (Pristine Light) - This is a thicker formula that almost feels like a creamy concealer. Which is why I don't think the sponge tip applicator is the best fit. I got rid of the sponge part and am using it with no problem. 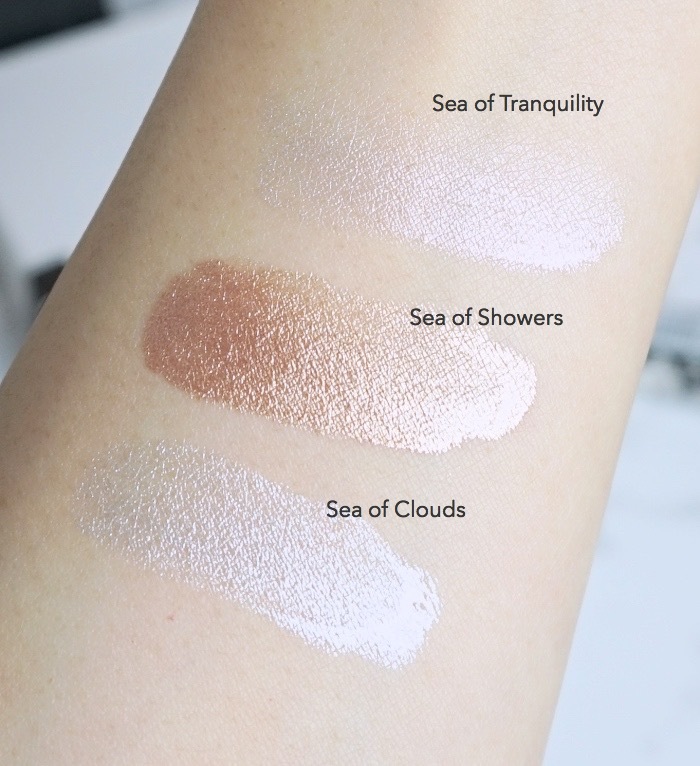 I think the coverage it provides is a nice thing especially when you use lighter eyeshadows, but I personally prefer sheer silicon-y formulations. Long-Lasting Duo Cream Eye Shadow (Silk Aether) in Gossamer Wing - is a combo of light luminous beige and cool taupe. The silky formula is impressively long-lasting yet it does not accentuate fine lines. Long-Lasting Lip Pencil (Forever Yours...) in Marco - is a cool raspberry shade according to RBR. 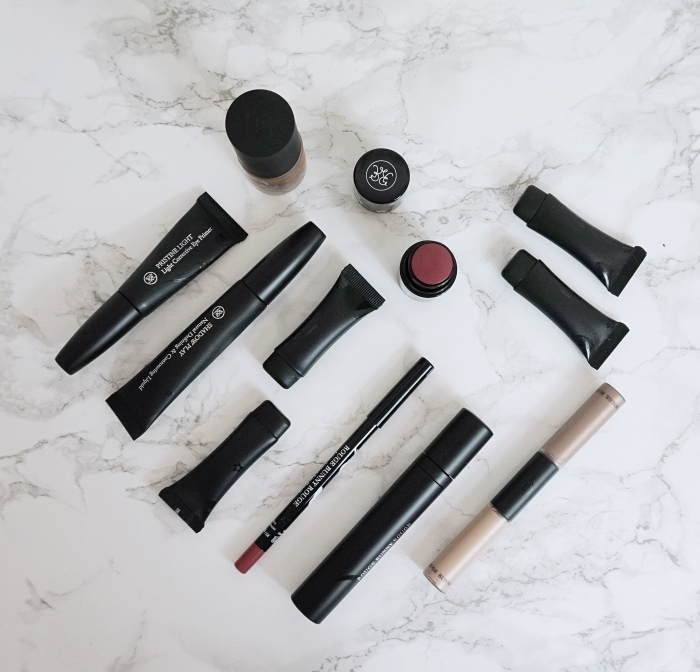 It glides effortlessly on and creates the prettiest soft matte lips. I was skeptical to use it as an eyeliner, but it worked so beautifully and lasted all day. The Most surprising piece of the bunch, if you ask me. Blush Wand (Cheeks In Bloom) in Rueben - is a sangria with ice, RBR says. To my eyes, it is essentially the same color as the lip pencil, Marco. This lovely cream-to-powder formula can be also used on lips, and it's exactly how I wore it here. I applied the lip pencil first then smoothed over using a dab of Rueben. 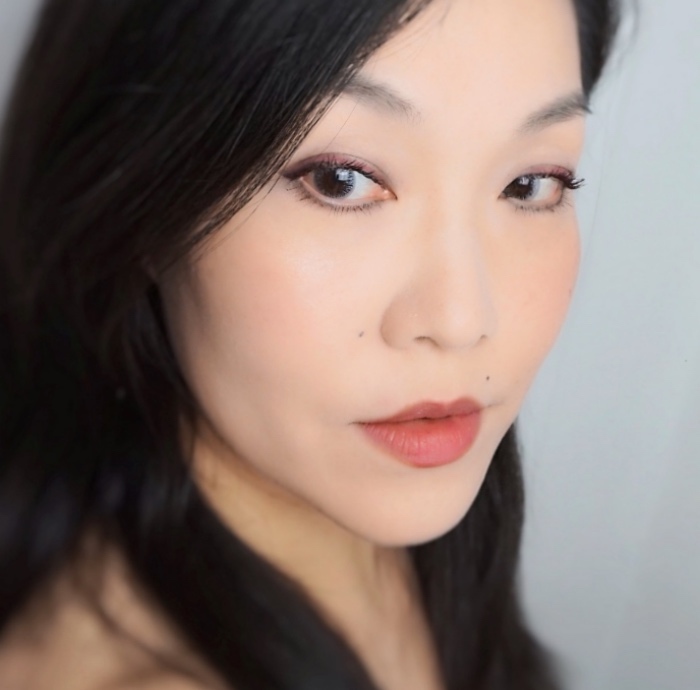 Modelling Mascara (Witchery) in Red Nightfall - is a deep wine/burgundy color. On my dark lashes, it doesn't show up much (I mean, not like the bright red you see on the model) but it is still noticeable and adds a big nuance. I applied Highlighting Liquid (Seas of Illumination) in Sea of Showers on top of my cheekbones. I swatched other two colors as well, because they are so pretty. I basically followed this step-by-step guide with illustration. You can also find more detailed guide plus a video here. 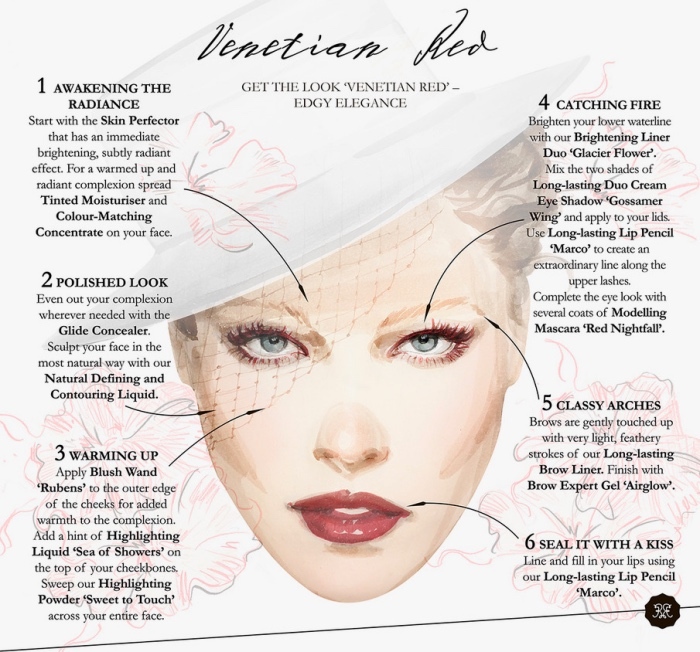 I must say that I've had tons of fun creating my version of Venetian Red although I was initially a bit intimidated. My favorites would be Skin Perfector primer, Lip Pencil in Marco, and Blush Wand in Rueben. (Oh, and all three highlighting liquids, of course). Rouge Bunny Rouge is currently having a 20% sale if you are shopping for the new look. Hope you enjoyed this post. 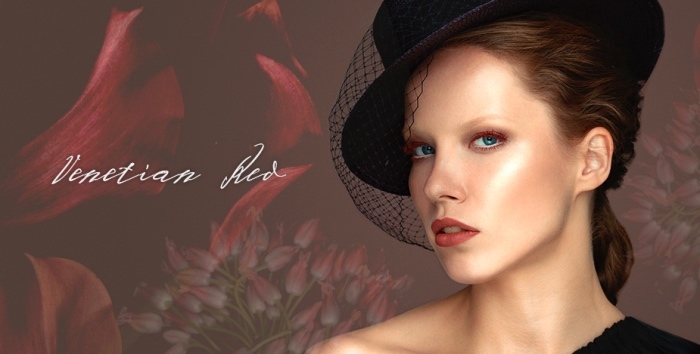 What do you think of wearing red eyeliners and burgundy mascara? Um, your skin is positively radiant here!! I also didn't even notice the red liner until you mentioned it. It's so subtle and pretty - what a cool look! I like how subtle this is! I really enjoy wearing red toned makeup and I think they can still look natural depending on how you apply them. The Skin Perfector sounds amazing. Will put it on my wishlist! Red/warm eye makeup looks are still so hot and I might embrace it already. ;) This is one good way of doing it, I think. The Skin Perfector works like a primer-tinted moisturizer combo. I'm enjoying it a lot. Thank you. :) Sea of Tranquility is my all time favorite as well. I think you adapted the Venetian Red concept beautifully Lena! The whole look is very sophisticated and you make red eyeliner and burgundy mascara very appealing :) I'm most curious about the Skin Perfector now.